An employee in Malaysia has security of tenure. He cannot be dismissed without just cause or excuse. If he considers himself to have been so dismissed, he has a statutory right to make representations in writing to the Director General of Industrial Relations to be reinstated. The Director General will then take such steps as he may consider necessary or expedient for an expeditious settlement. Where the Director General is satisfied that there is no likelihood of the representations being settled, he will notify the Minister, who may, if he thinks fit, refer the representations to the Industrial Court for an award.1 The employer may find himself liable to substantial monetary compensation should the Industrial Court find in favour of the employee. When an employee on a fixed-term contract does not have his contract renewed or extended, he may assert that the non-renewal is tantamount to a dismissal, thereby invoking the mechanism provided under s 20 of the Industrial Relations Act 1967 on unfair dismissals. “… it would be an obvious loophole if any employer could evade the statutory protection by making a series of contracts of finite duration with his workmen. An employer can also hire retired employees on a contractual basis in order to tap into their experience and cut back on training costs. The categories of work for which employees can be suitably engaged under fixed- term contracts are, of course, not closed. Factors that determine the true character of a fixed-term contract include the nature of the employer’s business and the nature of the work which an employee is engaged to perform. For example, a mediator who carried out the company’s core functions and objectives, and who had been an integral part of the company’s main functions was held to be in permanent employment and not on a fixed-term contract.12 The case, however, may have been decided differently had the company remunerated the mediator on a case-to-case basis rather than a monthly salary to demonstrate her engagement on a limited basis. 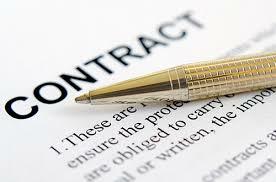 The terms and conditions stipulated in a fixed-term contract must be consistent with the nature of the engagement. Additional care should also be taken by employers in drafting the fixed-term employment contract to mitigate the risk of the same being seen as a permanent contract. For example, clauses that are commonly seen in permanent employment contracts would be indicative that the fixed-term contract is in fact a permanent contract. These would include clauses subjecting an employee to a probationary period 14, providing for a yearly increment and bonus, retirement age, long service awards and benefits that are contingent on the years of service with the employer such as annual leave and medical leave. Employers should also ensure that the fixed-term contract does not provide entitlement to benefits that are only available to permanent employees. Fixed-term contracts should also not include automatic renewal provisions. In Han Chiang High School, the school had employed teachers on fixed-term contracts of two years. A number of teachers who had joined the Union of Teachers in Independent Schools were informed that their employment would cease upon expiry of the fixed-term contract. The union applied to the High Court for an interlocutory injunction restraining the school from terminating the services of the teachers. In Telekom Malaysia,21 five employees were migrated to fixed-term contracts in 2003 as part of a transformation plan to improve the performance of government-linked companies (“GLCs”). One such GLC, Telekom Malaysia Berhad, had offered all senior management officers the option of either remaining under current terms as permanent employment or to accept fixed-term contracts. Employees would have to resign from their permanent employment before accepting the fixed-term contracts. In consideration thereof, such employees would be paid higher salaries and receive increased benefits and allowances. The dispute arose when five of those officers did not have their fixed-term contracts renewed. They lodged a complaint under s 20 of the Industrial Relations Act 1967, but the Minister declined to refer the matter to the Industrial Court. The employees applied for judicial review of the Minister’s decision. At the High Court, the decision of the Minister was upheld. Three of the five employees appealed to the Court of Appeal, which allowed the appeal and referred the matter to the Industrial Court. To avoid providing permanency to the employee under a fixed-term contract, employers should ensure that employees are aware that any subsequent extension of the fixed-term contract or offer of a new fixed-term contract is subject to a review of the employer’s business and operational needs 27 or other factors such as targets and performance reviews. An employee’s fixed-term contract is not caught by the MRAA 2012 if the contract of employment is a one-off, fixed-term contract for 24 months or less. In other words, the minimum retirement age would not apply. When an employee is employed on a fixed-term contract, it is unlikely that he will be retired during the course of his employment as doing so would lead to a breach of contract. If there is a clause on retirement in the fixed-term contract, it would be inconsistent with the character of a fixed-term contract. At this juncture, however, it is uncertain how the MRAA 2012 would affect employees employed on fixed-term contract. If there is an employee on a fixed-term contract, inclusive of any extensions where it exceeds 24 months, it would by operation of law bring the employee within the scope of the MRAA 2012. The employee therefore may, in the event of non-renewal of his fixed-term contract, contend that the non-renewal was on the basis of his age and in violation of the MRAA 2012. Employers with a genuine operational need to employ employees on fixed terms must ensure that the terms of the contract are consistent with the character of fixed-term contracts and are not that of permanent employment. Employers must also be aware that their subsequent conduct during the course of employment may be relevant in determining whether an employee will be held to be employed under a fixed-term or permanent contract of employment. While the law does not interfere with the employer’s rights to utilise fixed-term employment contracts, it would require the employer to be able to justify their use of a fixed-term contract to prevent exploitation of workers by circumvention of the statutory protection of security of tenure using the device of such contracts.